Unprecedented in an international legal document, this was one of the conclusions of a report submitted by the UN Committee on the Rights of the Child reviewing Israel’s adherence to and breaches of the Convention on the Rights of the Child and the Optional Protocol. Part of the evidence collected by the review included a jointly authored report prepared by: Defense for Children International-Palestine Section, Defense for Children International-Israel Section and New Profile, with additional contributions of information by Adalah, Yesh Din, Coalition to Stop the Use of Child Soldiers, UNICEF Occupied Palestinian Territories. The sections authored by New Profile are based on the New Profile Report on Child Recruitment in Israel, 2004, which they update and expand. These sections were authored by Sergeiy Sandler and Albert Givol. The item below, issued on 11 March 2010, by DCI-Palestine, announces the public release of the jointly authored document providing detailed answers to a list of questions posed by the UN Committee on the Rights of the Child. The item provides links to the full text of the ‘List of Issues’ and to additional relevant documents. DCI-Israel, DCI-Palestine and New Profile release today their answers to the ‘List of Issues’ recently prepared by the UN Committee on the Rights of the Child (CRC) in connection with Israel’s implementation of the Optional Protocol to the UN Convention on the Rights of the Child on the Involvement of Children in Armed Conflict (OPAC). This report, entitled NGO Answers to the List of Issues, compiles data provided by seven organisations* and was submitted to the Committee in December 2009, ahead of the review of Israel’s compliance with OPAC in January 2010. 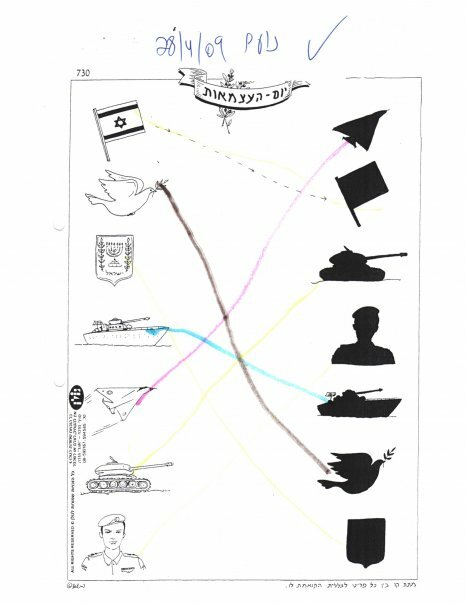 It includes thorough and up-to-date information on the recruitment practices of the Israeli state armed forces, and Palestinian and Israeli non-state actors. It also expands upon the militarisation of Israeli society at large. More specifically, the 41-page report is based, inter alia, on: Adalah’s expertise on the legal and practical aspects of the Israeli military’s use of civilians as human shields; DCI-Palestine’s research and field documentation of the impact of Operation Cast Lead, and its experience of representing Palestinian children accused of security offences in Israeli military courts; New Profile’s expertise on Israel’s recruitment laws and practices, its knowledge about the administration of military schools in Israel, and its research on the militarisation of the Israeli education system; Yesh Din’s expertise on the Israeli military court system; and UNICEF’s perspective on the Israeli government’s support towards the implementation of the child rights monitoring and reporting mechanism set up by UN Security Council Resolution 1612. Israeli landmines in the Golan. On 29 January 2010, the Committee on the Rights of the Child issued its Concluding Observations to Israel. *Adalah – The Legal Center for Arab Minority Right in Israel (Contributor); Coalition to Stop the Use of Child Soldiers (Contributor); DCI-Israel – Defence for Children International-Israel Section (Author); DCI-Palestine – Defence for Children International-Palestine Section (Author); New Profile – Movement for the Civilization of Israeli Society (Author); UNICEF – United Nations Children’s Fund-OPT (Contributor); Yesh Din – Volunteers for Human Rights (Contributor). On 18 July 2005, Israel ratified the Optional Protocol on the Involvement of Children in Armed Conflict (OPAC). As a State Party to OPAC, Israel was due to report to the UN Committee on the Rights of the Child – the body in charge of monitoring implementation of the Convention and its Protocols – two years after ratification. In March 2008, Israel submitted its Initial State Party Report, one year late. The report made no mention of the situation of children – Palestinian or Israeli – living in the Occupied Palestinian Territory (OPT). In July 2009, DCI-Israel and DCI-Palestine submitted a joint Alternative Report to the Committee in order to provide Committee members with complementary information relating to implementation of OPAC in the OPT. On 6 October 2009, at the end of its 52nd Session, the Committee held a pre-session meeting on Israel’s OPAC Initial State Party Report and invited representatives of DCI-Israel and DCI-Palestine to present the contents of their Alternative Report to them. The Committee had many questions on Israel’s child recruitment practices in the OPT. On 15 October 2009, shortly after the pre-session meeting on Israel, the Committee sent its List of Issues (22 questions) to the Israeli government, expressing its concern and requesting further information on a range of issues, a majority of them connected to the OPT, over which the Committee considers that Israel has jurisdiction. The government was given until 19 November 2009 to send its responses in writing. On 7 January 2010, Israel forwarded its Written Replies to the List of Issues to the Committee on the Rights of the Child. On 28 December 2009, NGOs sent their own replies to the Committee. The List of Issues had also benn forwarded to NGOs in Israel and the OPT, to encourage them to submit updated and complementary information to the Committee. Expert contributions from Israeli, Palestinian, international and UN organisations were compiled in the NGO Answers to the List of Issues. On 19 January 2010, from 3:00-6:00pm, an Israeli government delegation met members of the Committee in Geneva in order to answer questions on the implementation of OPAC in the territories over which Israel has jurisdiction. On 29 January 2010, the Committee on the Rights of the Child issued its Concluding Observations. Sergeiy Sandler has been radical peace activist since the early 1990s. Since 1999 he is active with the feminist antimilitarist movement New Profile, and since 2002 is an International Council member of the War Resisters’ International.